Today as I was installing AVAST on a system in the house I noticed an icon for Uncle Albert/Admiral Halsey the song was only my mind so I played it and got back to my install. As my install continued iTunes went to the next song on the list. It Came Upon a Midnight Clear by the Percy Faith Orchestra. We’ve had a pretty tough time of it around here this week and I’m pretty low, but once the sound of that Christmas Music came on, it really hit me and raised my spirits. A number of people see Obama and the left acting in curious ways and don’t seem to understand them. Let’s get the groundwork out of the way. To the left, it’s an article of faith that America is too powerful. America is too influential. America is too rich. America consumes too much. Americans as a group are too independent, too rowdy, not controlled enough. Americans are too nationalistic, too unwilling to give up part or all of their sovereignty to “emerging world governance”. America needs to be humbled. Americans need to have their confidence shattered, to become introspective, to consider (finally, at long last) “why they hate us”. America needs to bow to world opinion. These days SDB can be found writing about Anime here. Life is too short not to enjoy what you actually love. While browsing the net I had the Switzerland v Spain match on the TV in the background. The Spanish played Soccer in an actual exciting fashion constantly on the attack they were pressing the Swiss so hard that is seemed every few min there was a shot on or near the goal. But it seemed each one went wide or hit the crossbar or post or just went wide or was saved. I’ve never seen a team with so many chances. The Swiss only had a few chances, but managed to score on one of them. Even in Penalty time Spain had at least 5 chances none of them worked. Spain is ranked 2nd in the world. The Swiss 26th. If Soccer was actually LIKE this game on a regular basis Americans would enjoy it, but unfortunately this is more of the exception than the rule. …but it isn’t the least. He is basically connecting the Militia movement to the Tea Party movement. When asked if he is connecting Scott Brown supporters to the militia movement he bluntly says so. It is a disgrace, it is just plain propaganda. He wants to paint a particular picture and MSNBC will help him do it for the sake of their political twist. This is simply evil. to know that such a charge will cost people he supports votes. 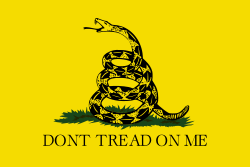 He also talks about the Gadsden Flag and what it represents and how it worries him. It is for this reason why we have women in Boston deciding that the Gadsden flag is a “Confederate” flag and why I got such a reaction from those older Black Women in Georgia. It’s because Chris Matthews and men like him decide to paint a false picture for the few viewers they still have. I didn’t see a Matthews crew at the Twin City Tea Party’s flag day event. He is a purveyor of bigotry and if he’s not ashamed of himself, its simply because he no longer has that capacity.